i just liked totally target on fb too. Boy would this come in handy. Thanks for all you do. I like Totally Target on FB as Curtis Martin. I “Like” Totally Target on FB as Di Anne! thanks for the giveaway opportunity! Good luck to all! Yay for giveaways! Good luck all! 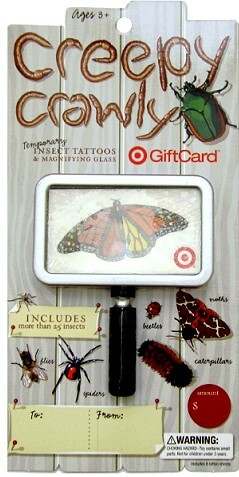 We could certainly use the Target gift card! Thank you! I would love to win..thanks for your site. Haven’t won anything yet but keep trying! i would love to win this to spruce up my florida room!!! I love shopping at Target! Last night I was looking for Purina Puppy Chow and read the sign in front stating that you receive a $5 GC wyb one 20lb bag. When I got to the check-out, it didn’t spit out the gift card and I asked one of the cashiers to walk back with me because I was SURE it said I only needed to buy one to qualify for the gift card. When we got back to the dog food and I read the WHOLE sign, it stated you only had to buy one bag but also a bag of the Beggin Strips Dog Treats to qualify for the GC. I was kind of embarrassed but the cashier was soooo nice about it! I got the bag of dog treats (which were already a great deal by themselves) and also my $5 GC. Their employees are always nice and courteous…makes for fun shopping! Icould seriously use this card this week! Starting our baby registry! I <3 TotallyTarget on Facebook!